Authorities in a Chinese village have launched a "thought education" campaign after more than 200 villagers signed a petition to banish an eight-year-old boy infected with the HIV virus, state media said on Wednesday. 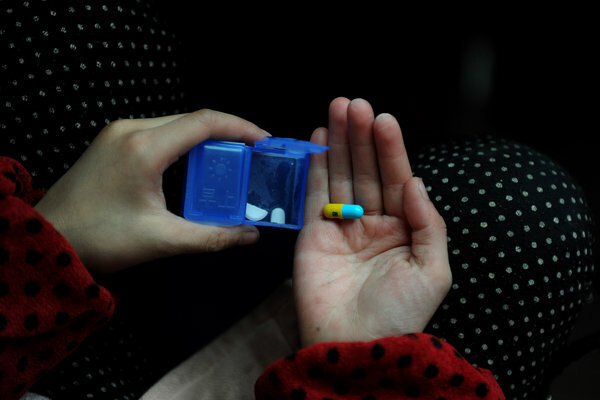 People in China living with HIV and AIDS face widespread discrimination and stigma, with even medical workers sometimes refusing to touch them. Although the government has implemented polices and legislation aimed at stopping HIV/AIDS discrimination, enduring misconceptions about the disease have led to children being barred from school and parents abandoning children. 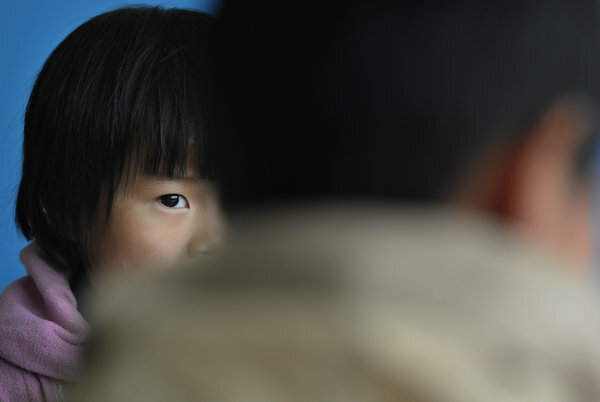 Kun Kun, an eight-year-old boy from a village in the southwestern province of Sichuan contracted the virus from his mother, the People's Daily newspaper said on its website. After he was diagnosed with the virus in 2011, he was expelled from school and ostracized by villagers, with one of them calling him a "ticking time bomb", said the newspaper, the official paper of the ruling Chinese Communist Party. Zhen Zhen, the youngest child living in an orphanage for HIV-infected children. Zhen Zhen was abandoned by her parents in 2010 and was later sent to the shelter. She has no idea of where she was born. 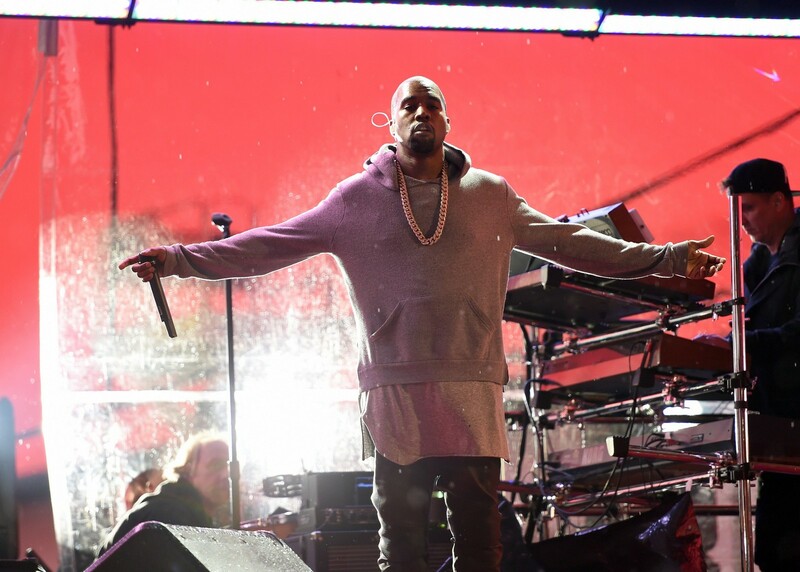 14-year-old cannot remember what year he was abandoned by his mother. 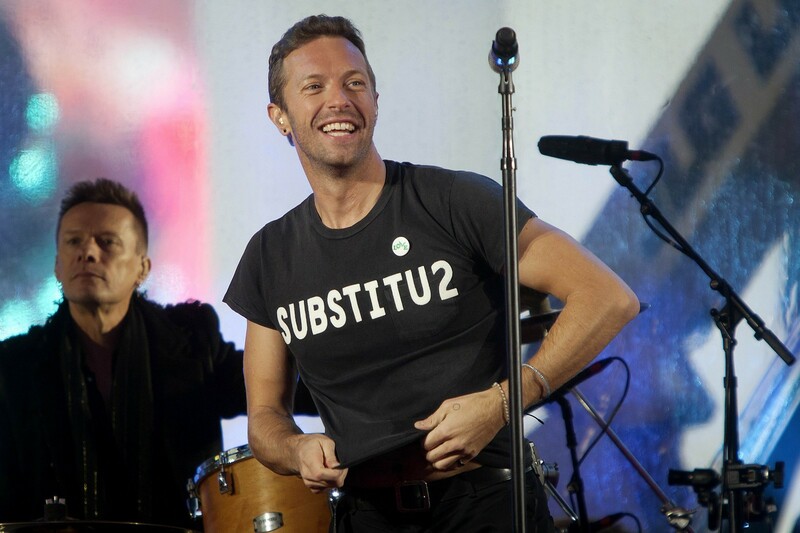 He has been living in the orphanage since 2006. Jun Jun's parents died when he was very young and he was the first kid adopted by the charity house. He is a quiet boy who loves painting. The 10-year-old girl lost her HIV-infected mother soon after her birth and was deserted by her father when she was 5 months old. She was later adopted, but was abandoned again after she was diagnosed with AIDS. 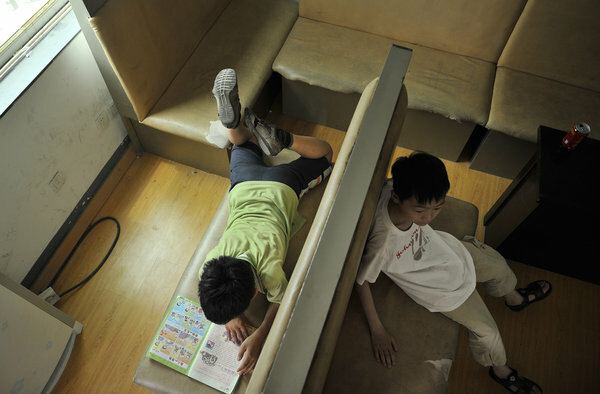 Yue Yue and Zhen Zhen play marbles on the floor near a bed. The orphanage hires teachers to give lessons to the kids who can not go to school due to their illness, and employ workers to take care of their needs. To control the HIV virus, the children take medicine on a daily basis throughout their lives. 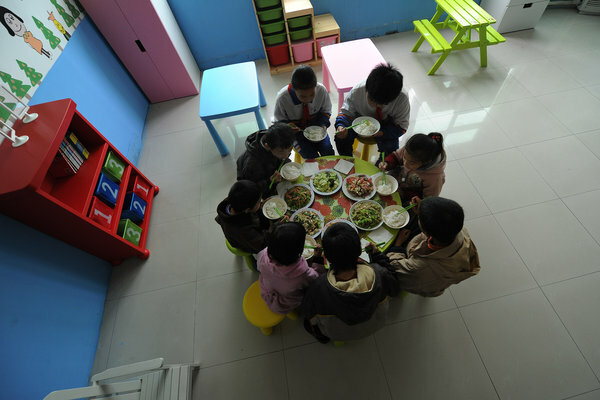 Workers in the charity house prepare a meal for the children. 5 children in dancing costumes get ready to perform on June 1, Children's Day. 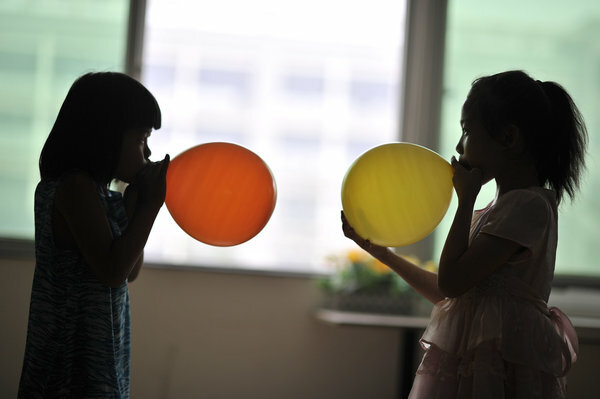 2 children blow up balloons in order to decorate the site of their performance. In early December, more than 200 villagers, including Kun Kun's guardian and grandfather, signed a petition to eject the boy from the village. "Nobody wants to play with me," the newspaper quoted Kun Kun as saying. 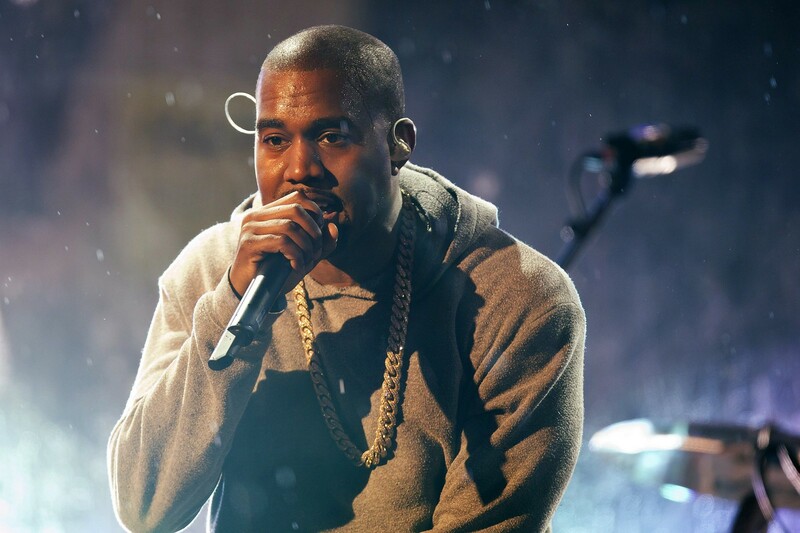 But in response to his treatment, the village mayor was quoted by the newspaper as saying Kun Kun enjoyed equal rights and "the township government will conduct ideological work on the villagers". 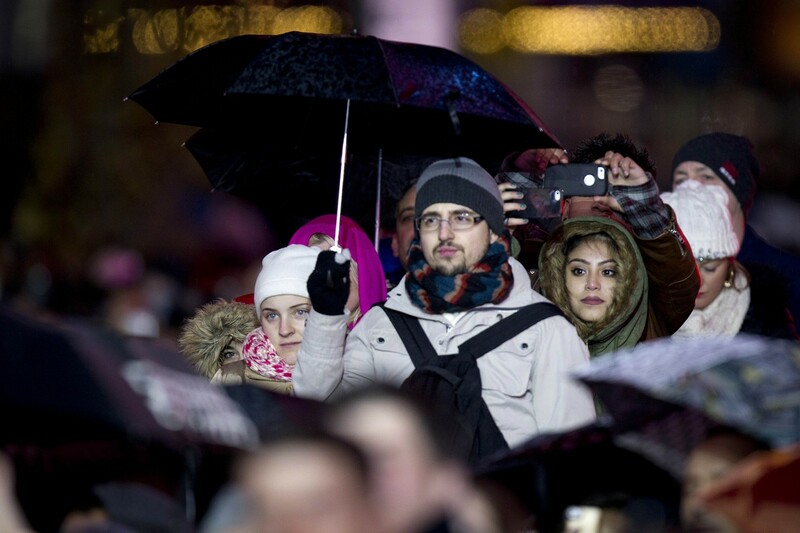 UNAIDS estimates that China had 780,000 people infected with AIDS at the end of 2011. 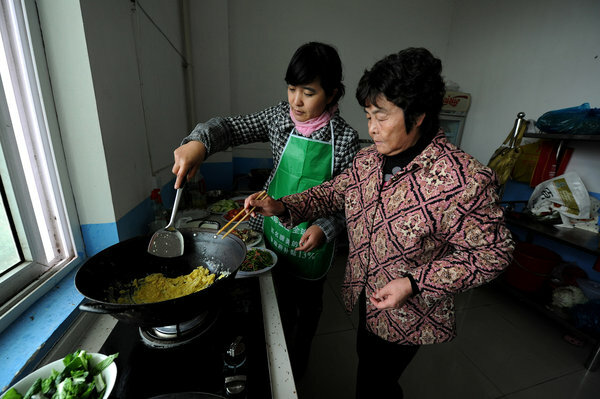 In 2012, President Xi Jinping visited a group of people living with HIV in Beijing, urging society to end discrimination and "to light up their lives with love", state news agency Xinhua reported. 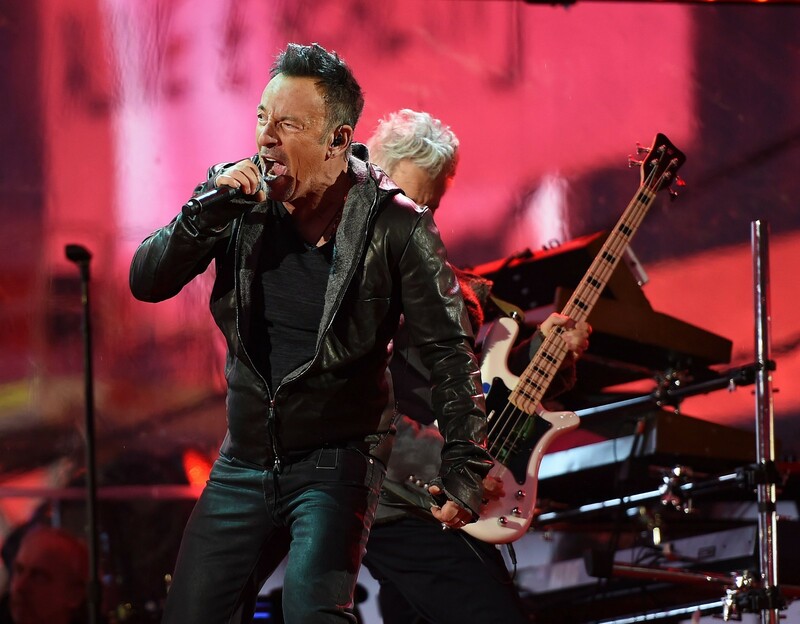 Bruce Springsteen and Coldplay's Chris Martin tried to replace Bono's legendary vocal cords Monday in a surprise U2 concert in New York to rally support for fighting AIDS. 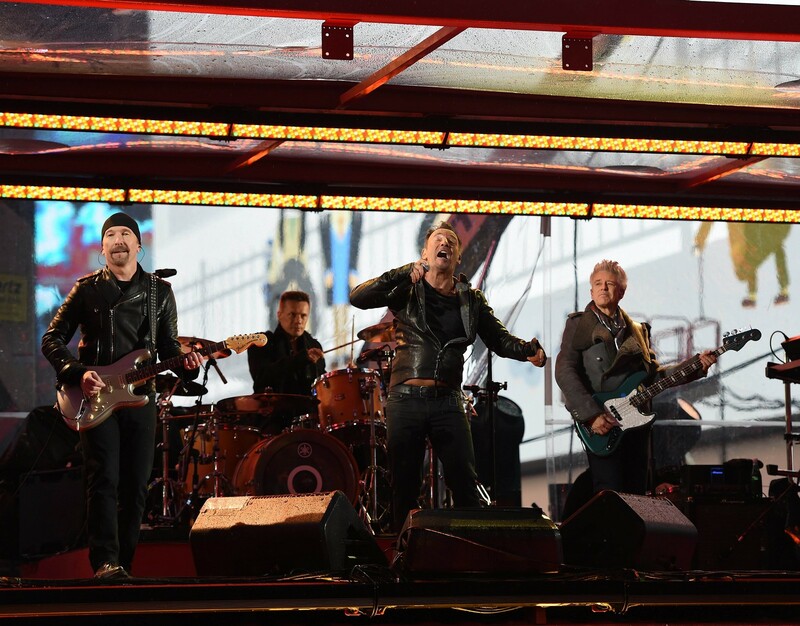 U2, which has played only select shows since a 2009-2011 tour, announced the free show in Times Square with several hours of notice. 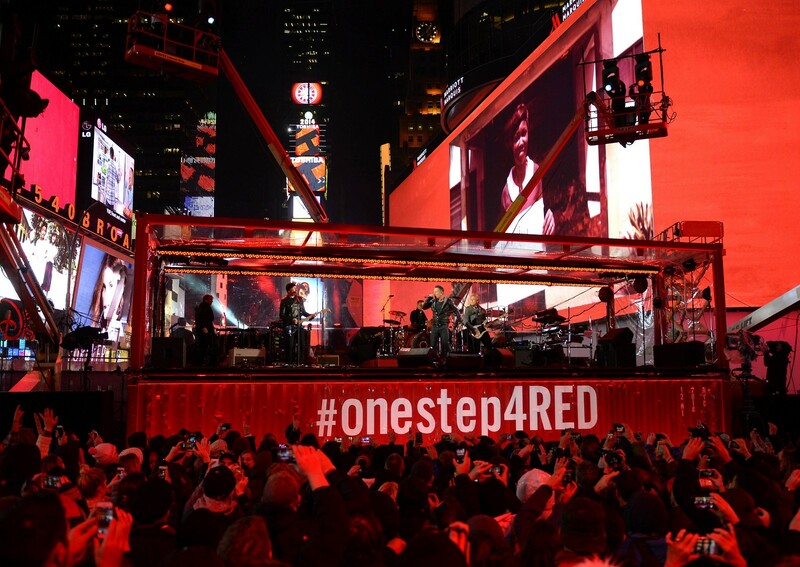 The surprise concert aimed to raise awareness and funding on World AIDS Day. 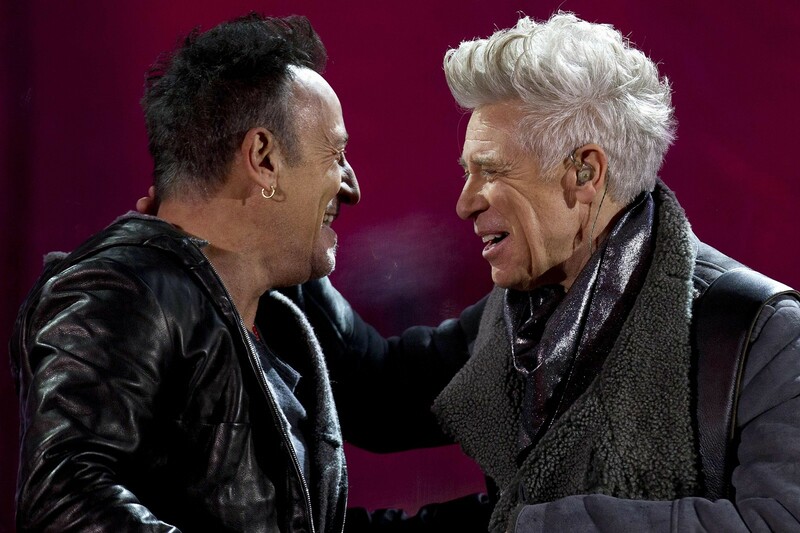 But with frontman Bono injured in a bicycle incident last month, the Irish superstars offered the microphone to two of the rare vocalists who rival U2 in celebrity. 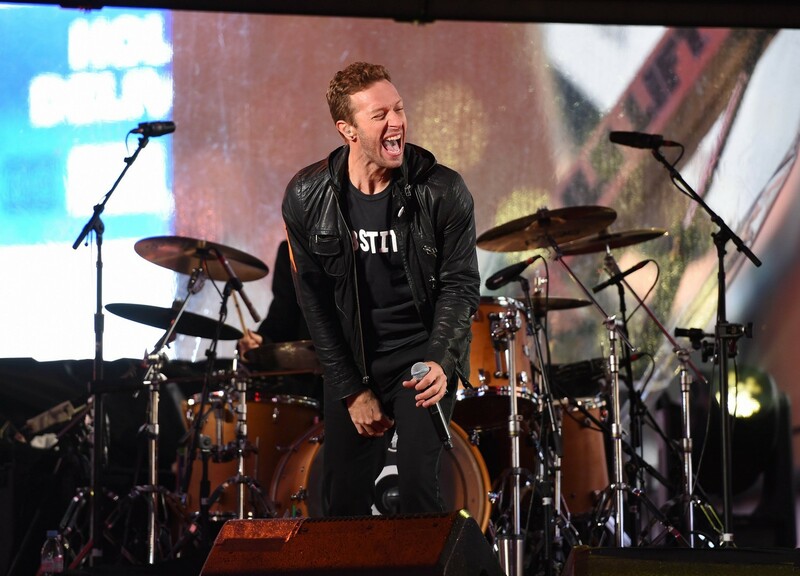 "Dreams come true for all old and young people alike," a humbled Coldplay frontman Chris Martin said on the stage set up underneath Times Square's famous flashing screens. 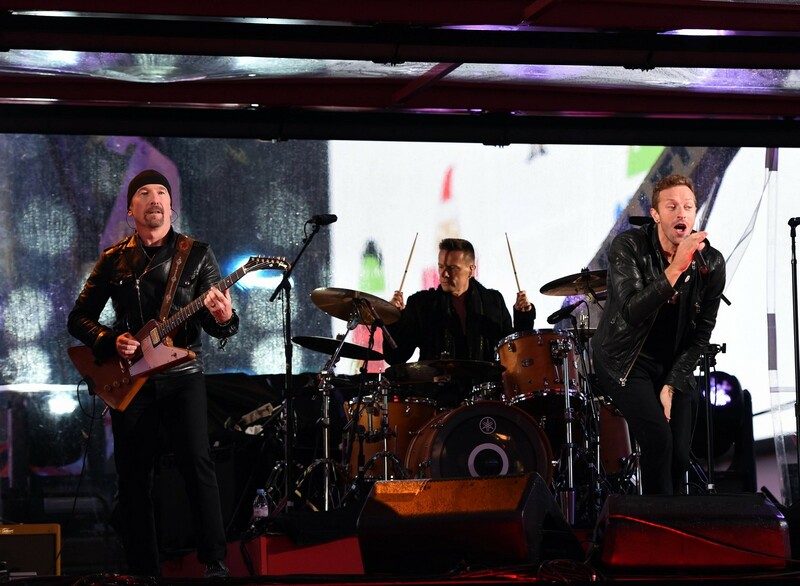 Martin, who has long cited U2 as an influence, joined The Edge and the rest of the band to perform "With or Without You" and "A Beautiful Day". 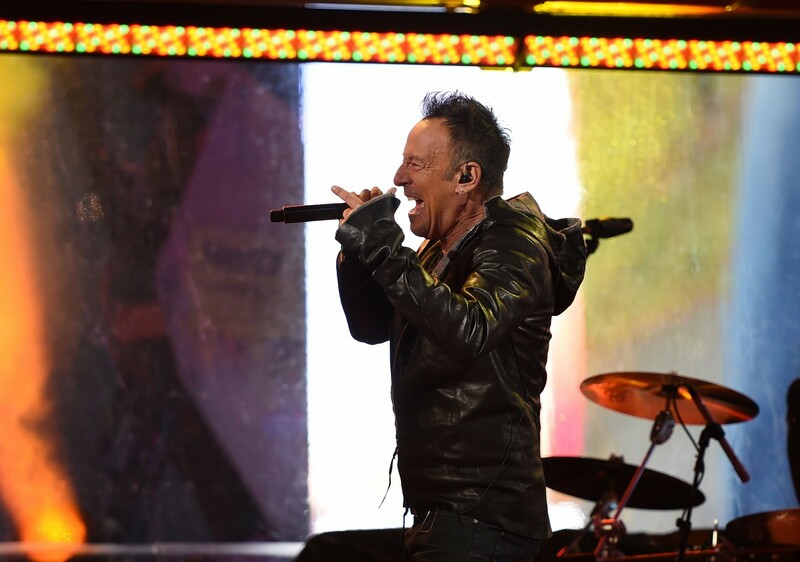 Closing the hour-long concert, Bruce Springsteen summoned the depths of his emotional force to sing "Where the Streets Have No Name" before a more understated rendition of "I Still Haven't Found What I'm Looking For." 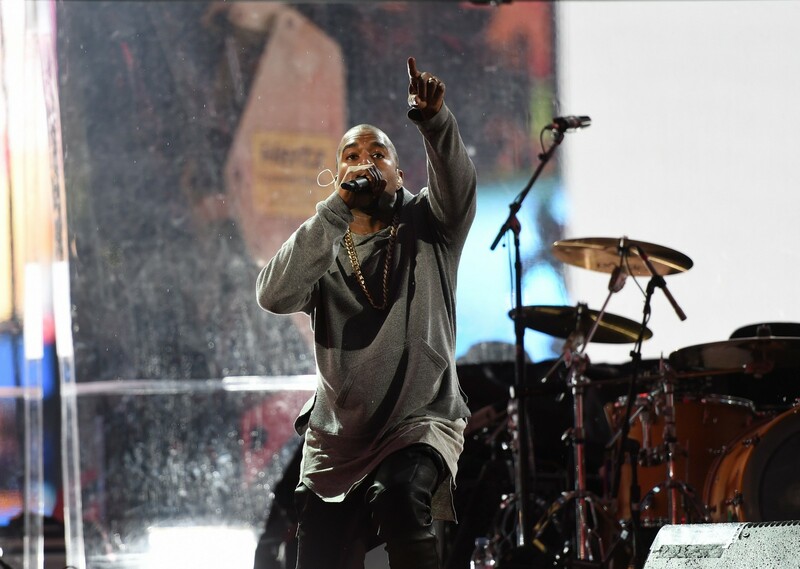 Kanye West also performed with U2 at the surprise concert. 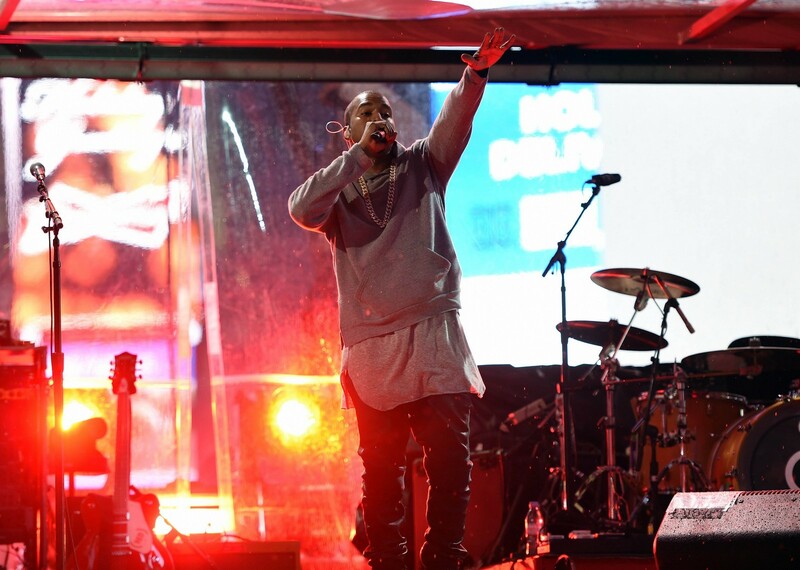 Kanye West performs at the World AIDS Day concert in Times Square, New York City. 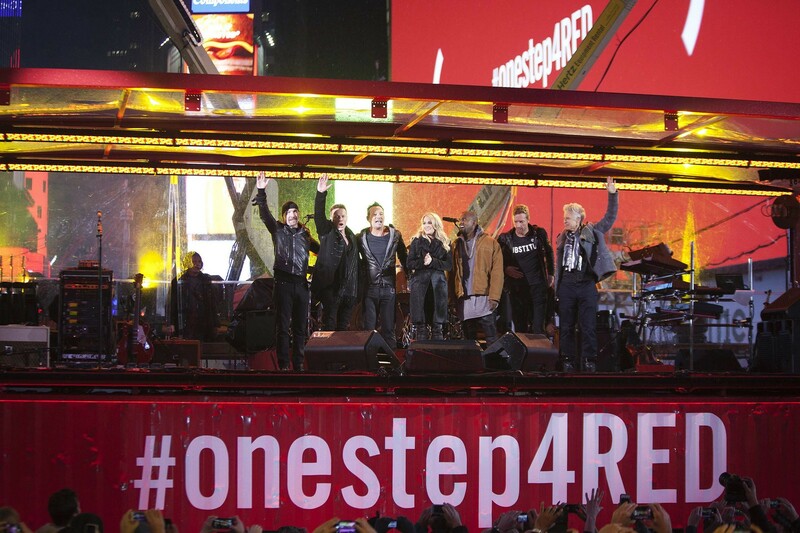 The concert was organised by the Bono-backed Red campaign to mark a decade since the United States dramatically ramped up support for fighting AIDS. 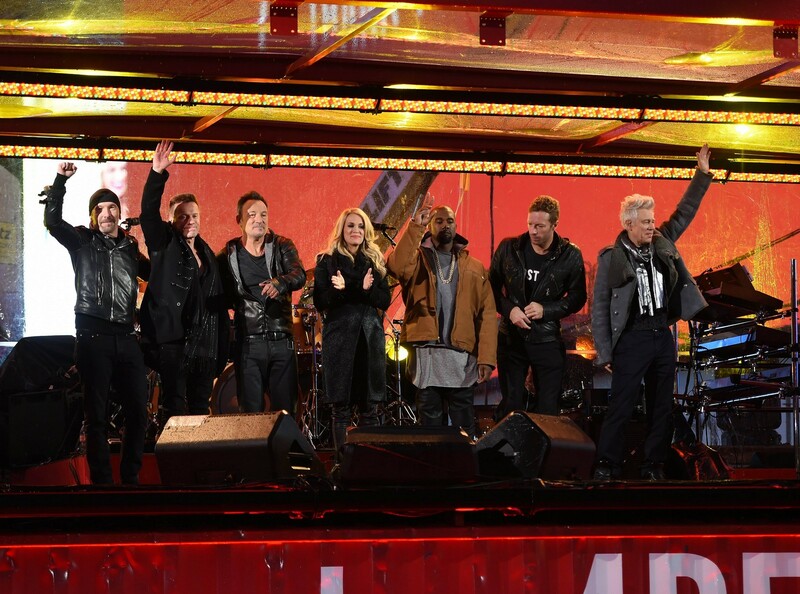 Singers (L-R) The Edge, Larry Mullen, Bruce Springsteen, Carrie Underwood, Kanye West, Chris Martin and Adam Clayton wave to the crowd after their surprise concert in support of World AIDS Day in Times Square in New York. 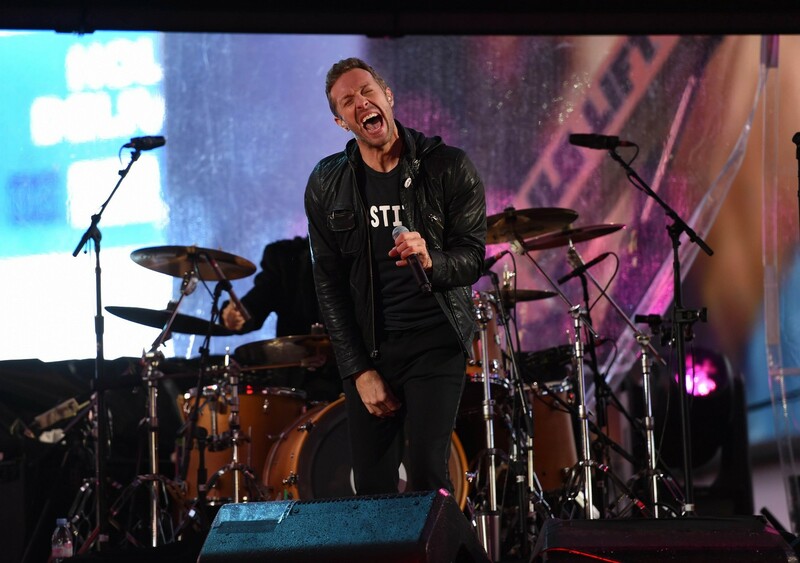 Coldplay's Chris Martin performing with members of U2 at the World AIDS Day concert. 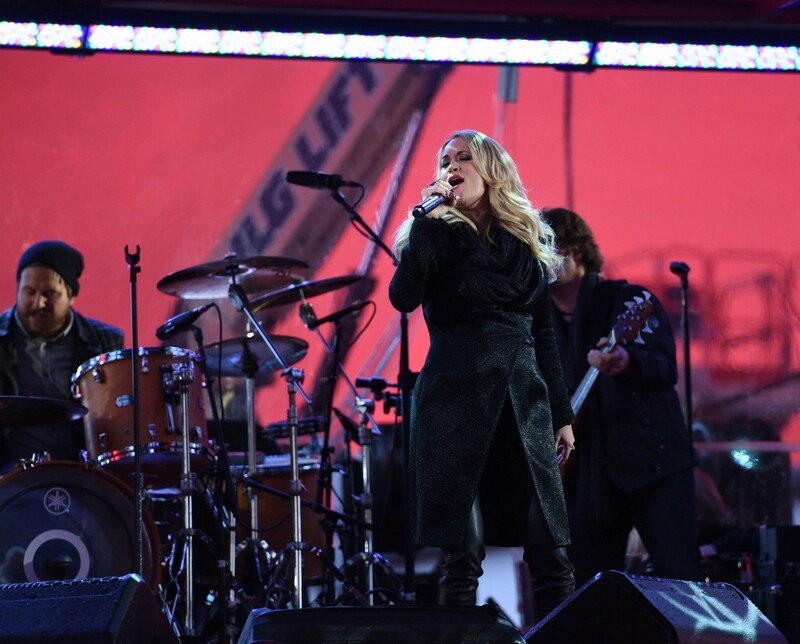 Carrie Underwood performs with U2 during a surprise concert in support of World AIDS Day. 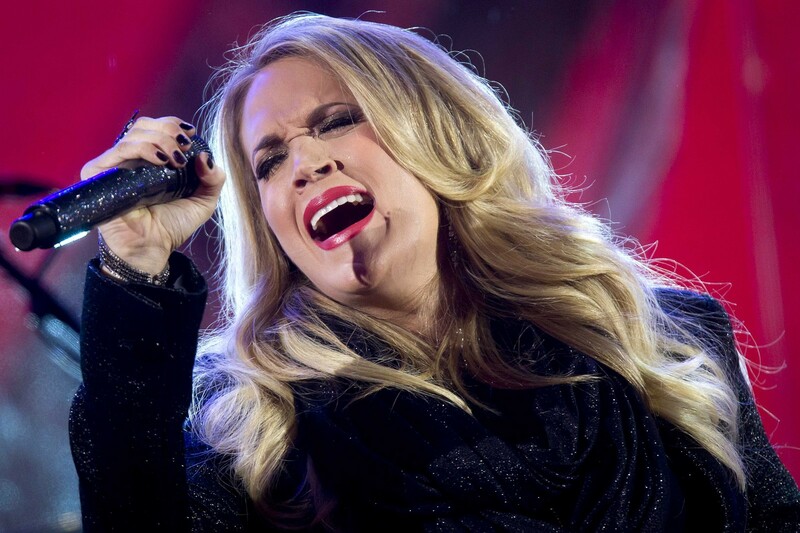 Carrie Underwood performing at the concert. 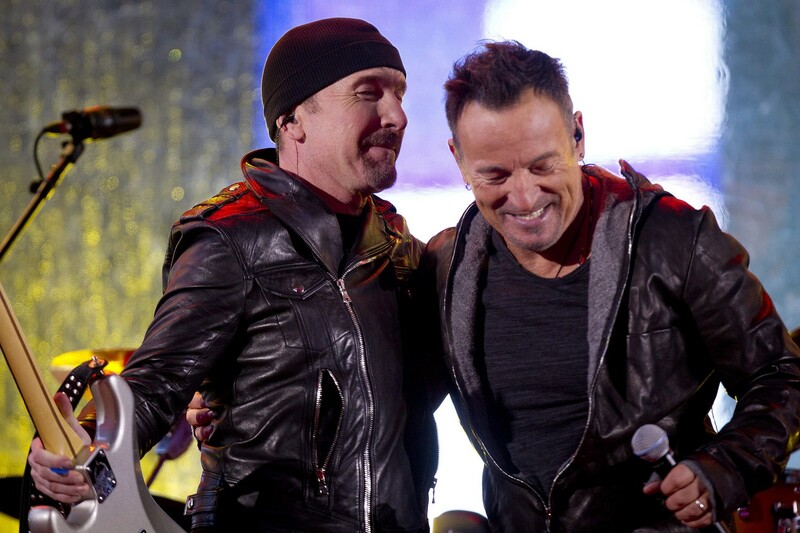 U2's The Edge and Bruce Springsteen (R) perform during a surprise concert to rally support for the fight against AIDS. 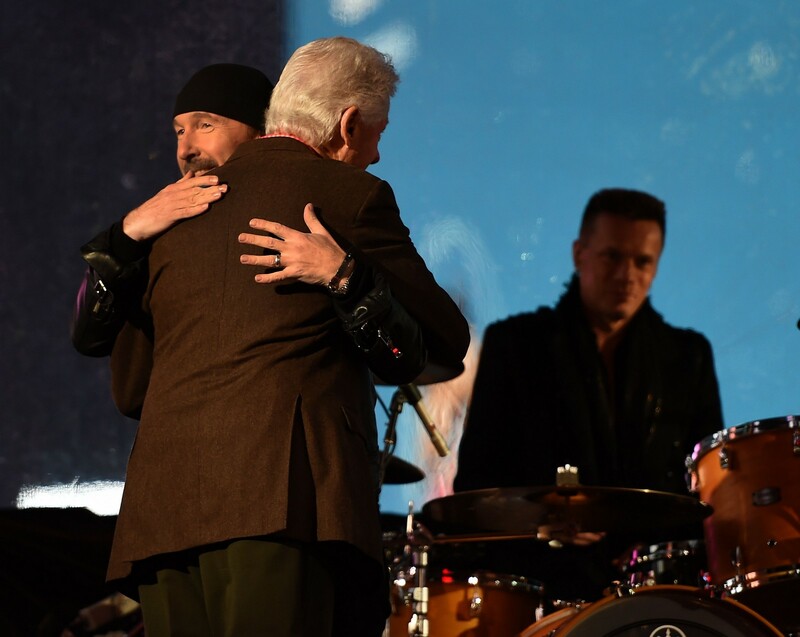 Former US president Bill Clinton also appeared at the concert and explained that Bono asked him to address the concert. 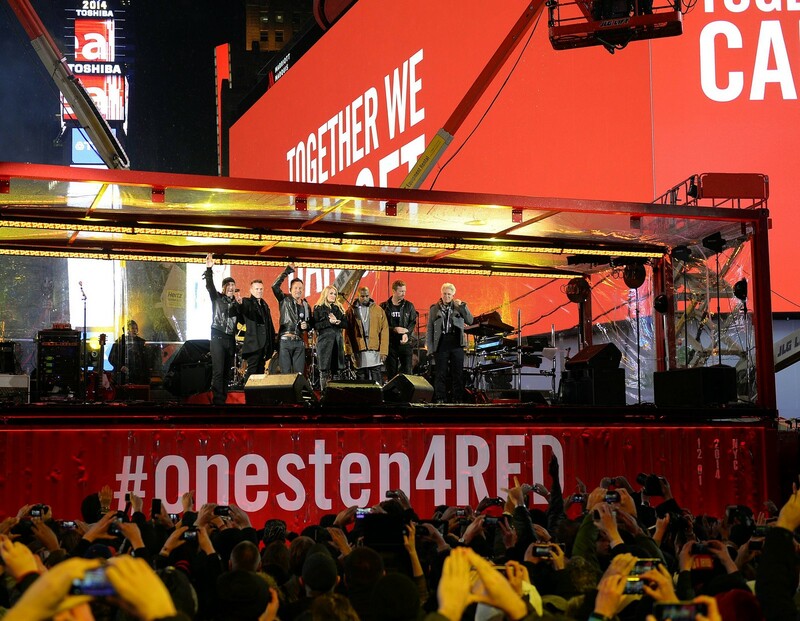 He said that 2014 marked the first time that more people around the world received life-saving drugs than were newly diagnosed with HIV. 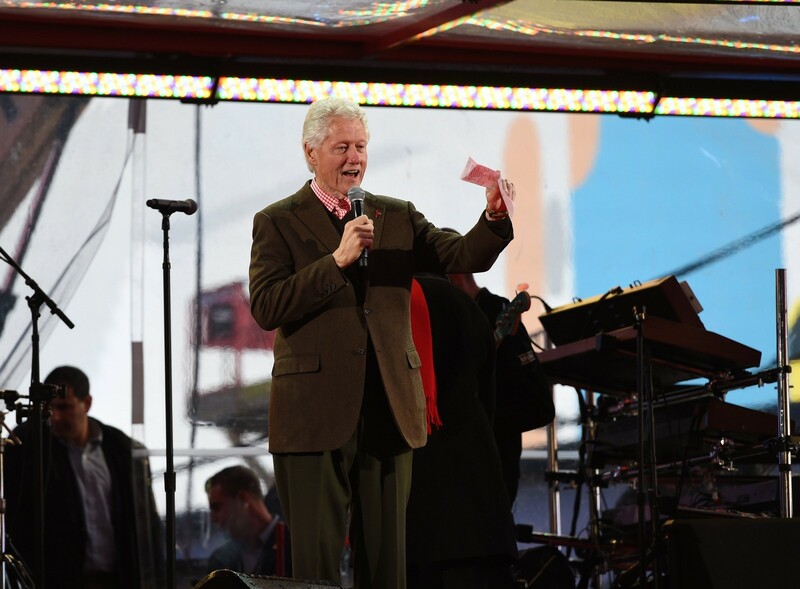 "Twenty-six years ago, we could never have had an event like this on World AIDS Day because to be diagnosed with AIDS was a death sentence," said Clinton. 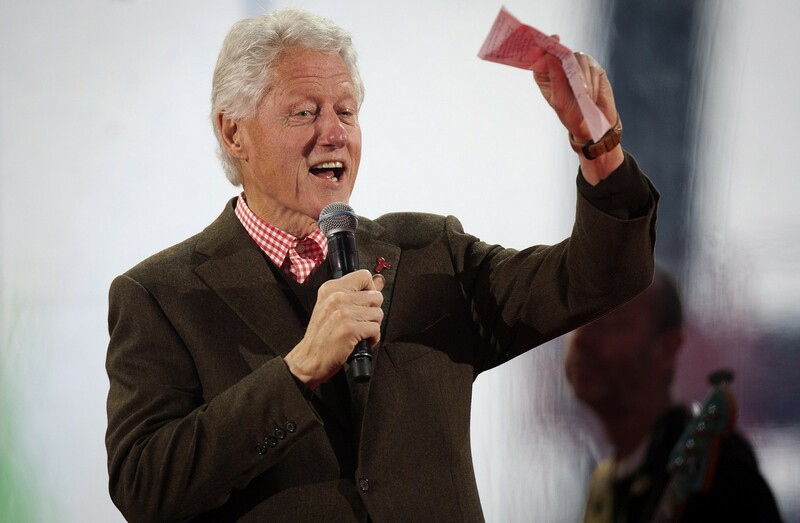 Clinton pointed to US anti-AIDS efforts as an example of cooperation across political lines. 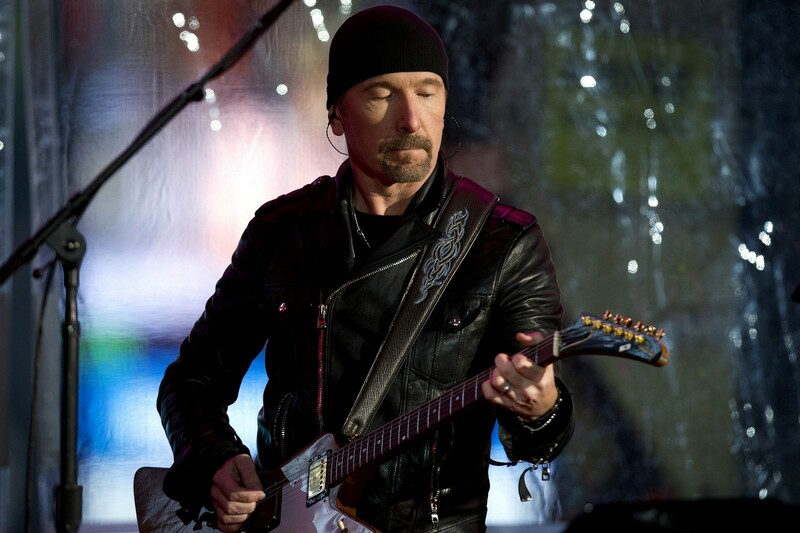 The Edge of U2 at the concert in New York City. 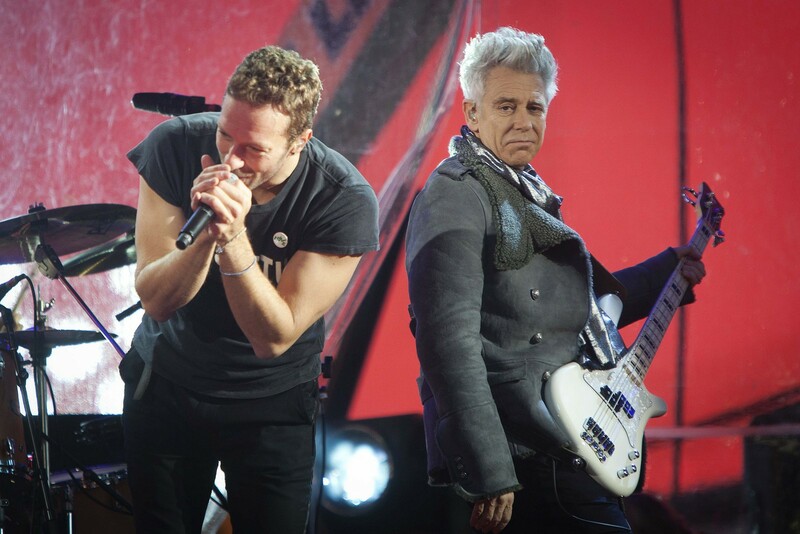 Chris Martin (L) performing with U2's Adam Clayton. 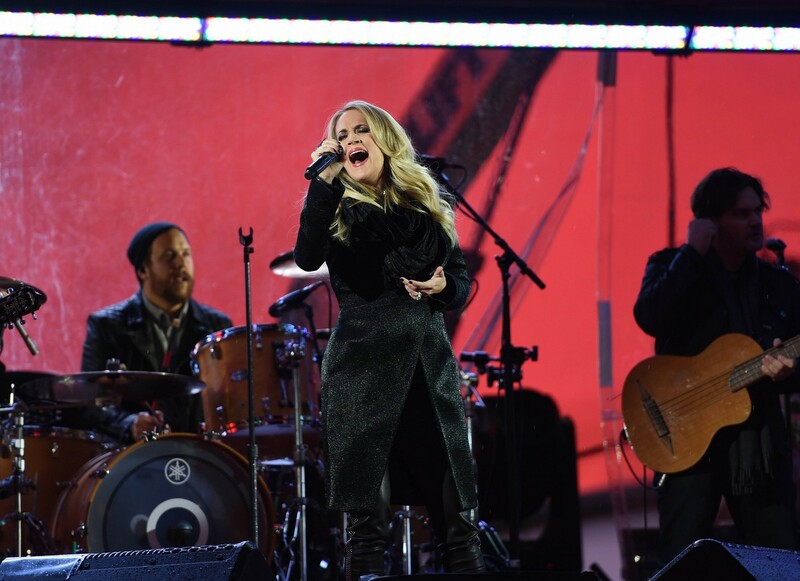 Singer Carrie Underwood performing at the World AIDS Day concert. 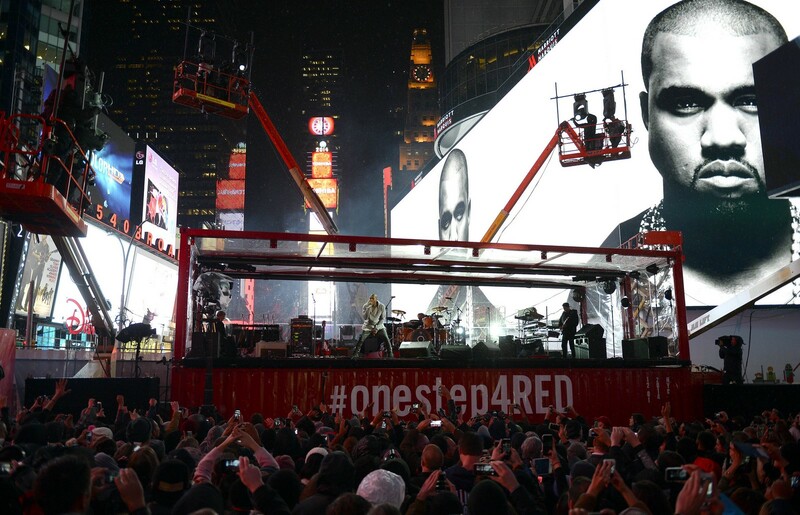 The concert played a video message, released earlier in the day, from President Barack Obama who called for sustained efforts to fight HIV. 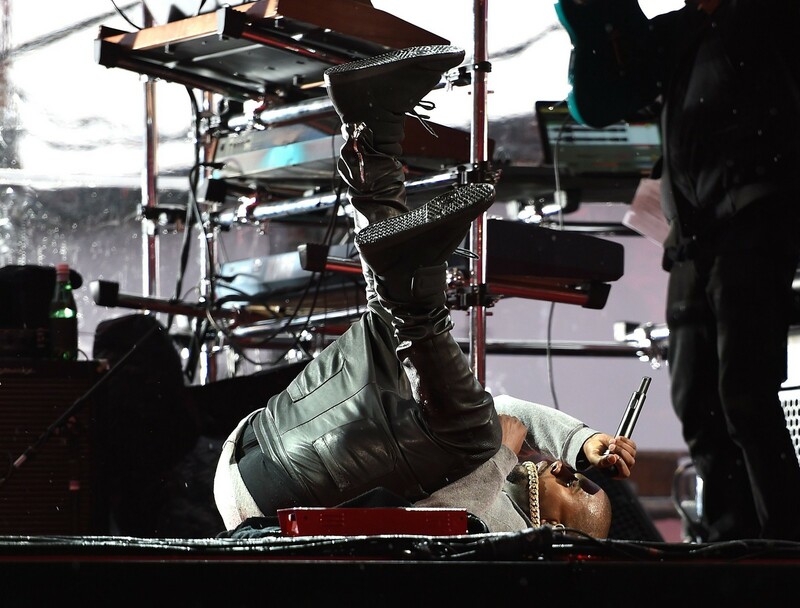 "We've got to stay focused and committed. 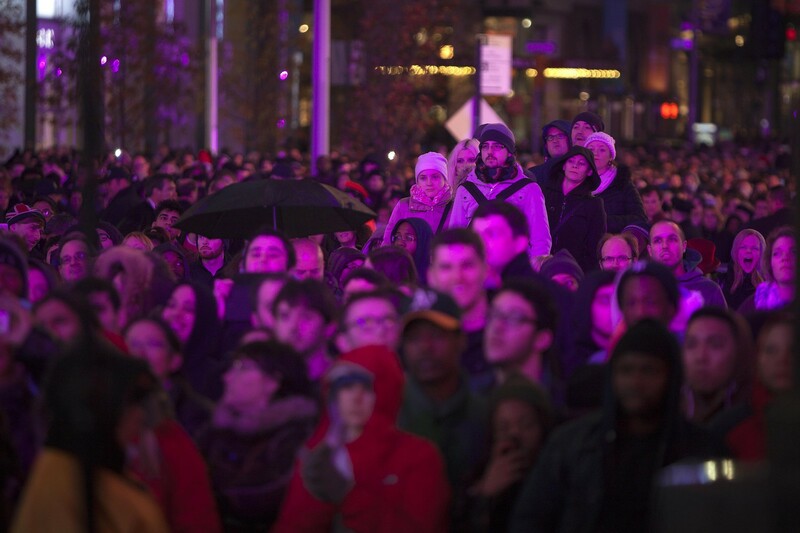 Science is on our side, momentum is on our side. 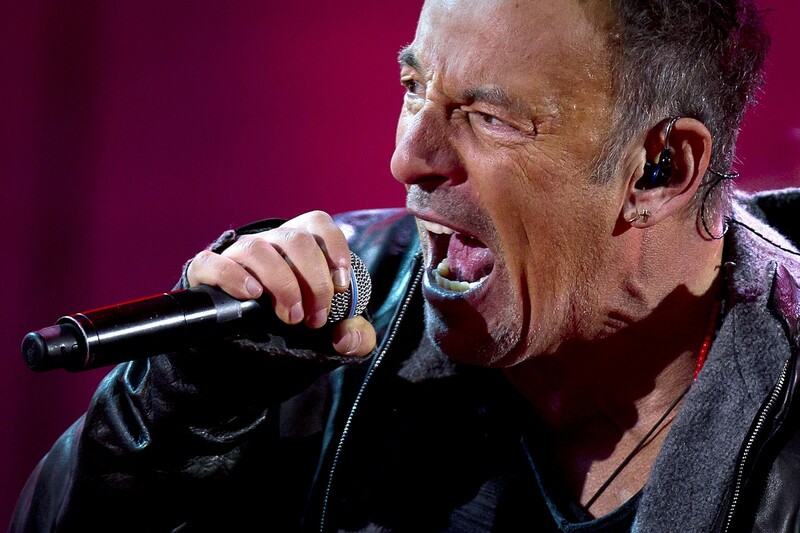 It's up to us to finish the job," Obama said.